Incorrect documentation: FTTN speeds will *not* be 12/1 during transition - jxeeno™ blog. Kenneth your original post is correct about the effect on consumers. 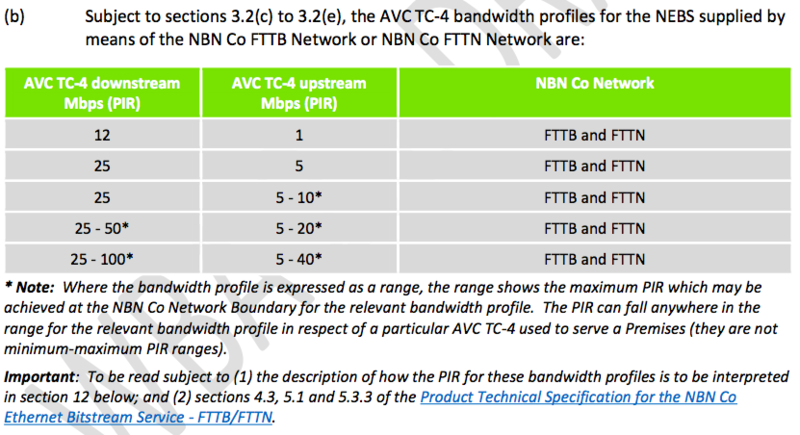 If the maximum that NBN Co can guarantee is 12/1 then no RSP will be able to offer a service above 12/1 in the co-existence period without potentially breaking Consumer Law. Whether the RSPs let the line rip at whatever speed they can get is then a difficult question – because their tariff structure is built on assumed utilisation of shared resource like the CVC. Meant to add – RSPs will probably only offer a managed 12/1 with upgrade offerings subject to service test.